Slovenia is a beautiful small and geographicaly very diverse country in the centre of Europe, with population of 2 million friendly and educated people who respect the nature of their country as well as their cultural heritage and heartily welcome tourists. Do you notice the shape of a chicken? Where is Ljubljana, Slovenia? The country is positioned in Northern Balkans of Middle Europe. Austria is on the North, Croatia borders on the South, Italy on the West and Hungary on the East. Although Slovenia is small, it is very geographicaly diverse. 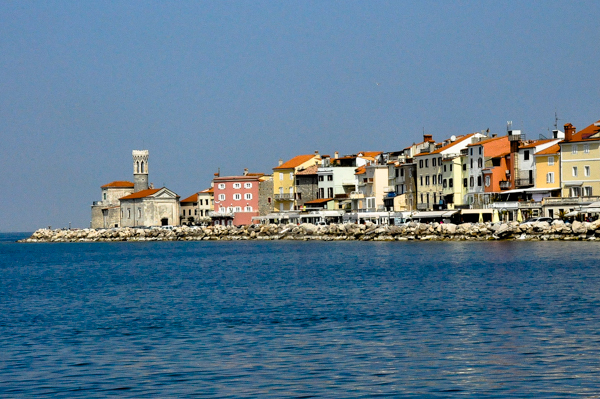 Alps on the North, Mediterannean with Adriatic Sea on the South West, Pannonian plain on the East. There are hot springs, hills and wine regions, also Karst region with rivers, georges and more than 10.000 underground caves. Remnants of primeval forests are on the South with one of the biggest populations of Brown Bear in Europe. 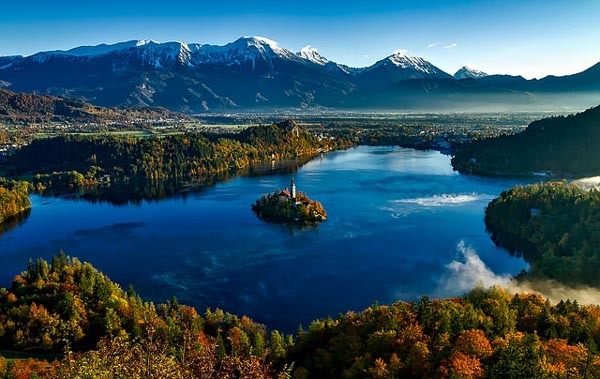 Slovenia is the 3rd most forrested country in Europe. As the country is small and diverse you can stand on the top of one of the Alpine monuntains and swim in the Adriatic Sea in the same day. wine cellar of one of the wine regions. Most of the attractions of Slovenia are easily accessible as a day trip from Ljubljana, making the capital and ideal base for exploring the entire country. Most popular destinations include the beaches on the Adriatic coast, Alps, hot springs, wine regions, caves of the Kras region and many castles. Slovenia`s size can be compared to the size of Israel, Belize, New Jersey or Vermont. It covers 20.273 km2 which is approximately half of Switzerland, Netherlands or Denmark. Slovenia.info The offical portal of Slovenian tourist board. It offers information about tourism attractions all over the country. Data statistics about Slovenian geography, economy, transport and tourism. Documented castles, manors and ruins in Slovenia.